Finest Quality, hand made in Germany using a fifty step process and with a keen attention to detail, Fluco's Hunter watch strap is brown with a soft leather 'vintage' style finish, rice coloured detail stitching and a cut edge. 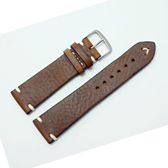 It is a thick strap, suitable for larger watches. 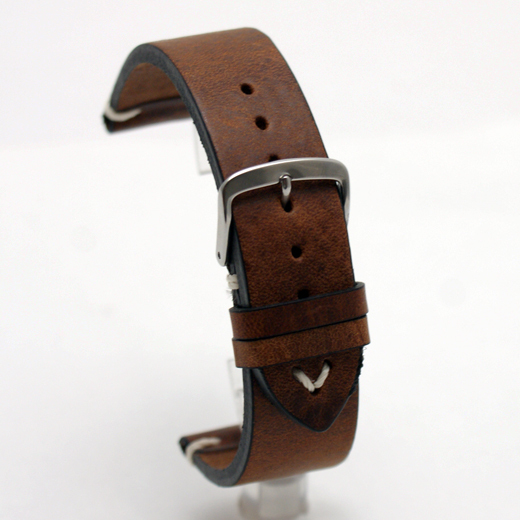 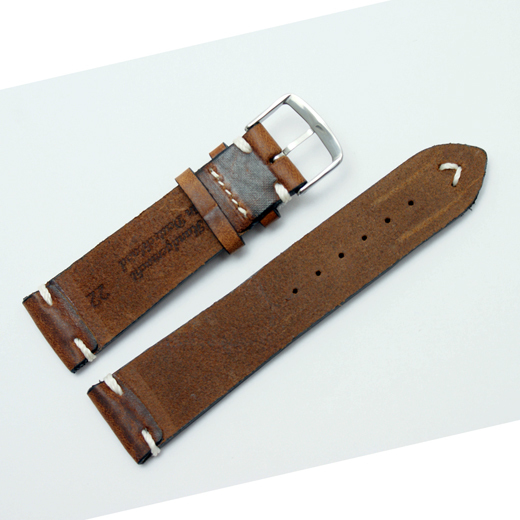 The strap is designed to mimic a vintage or aged strap and will therefore have some dents or marks on it when it arrives, as you may see in the photograph, and will develop crease marks when it is bent.